In 2015 UWE Bristol made the decision to rebrand. They partnered with an agency who gave them a great set of guidelines for offline assets but not an online one. UWE Bristol wanted to translate their identify online and needed a partner to do it. In Autumn 2015 UWE Bristol partnered with Gibe and creative agency Activation to help them develop a new online identity. Together we created a digital interpretation of the guidelines already created that was fresh, clean and offered flexibility. The three organisations collaboratively developed a new set of well-considered wireframes that were translated into design. These were then implemented by Gibe into responsive and fully accessible HTML templates that UWE then took and applied to their existing CMS to reskin the UWE website, www.uwe.ac.uk. 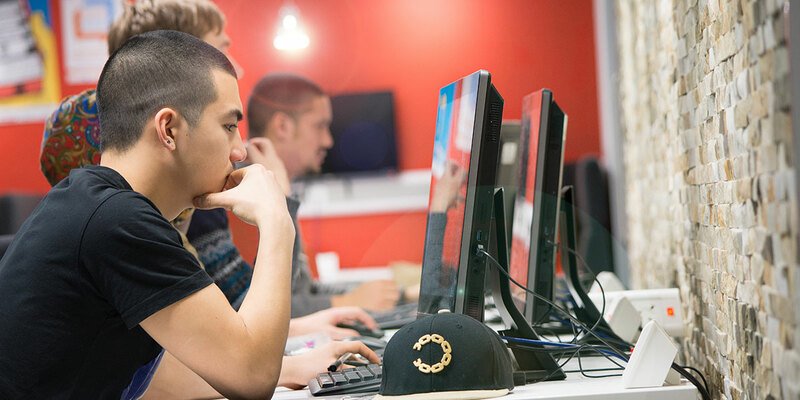 The UWE Bristol website is a high traffic website that caters for many key audiences ranging from current and prospective students of all types and backgrounds, staff, researchers, parents, schools and press. Gibe and Activation adopted a philosophy of ensuring each component and template were designed around a healthy balance between information vs inspiration. The output of our labours is a site we feel is fresh, modern and one that represents UWE Bristol as a serious education institute. The components we have developed are flexibile and so not only do they work on the templates we were commissioned to provide, they can be reused again and again for the creation of new templates by UWE Bristol in the future. The site templates were built to the very latest in best practice HTML5, CSS 3, responsive techniques and of course AA accessibility standards. Simple but effective decisions were made so that the user interface is device agnostic and all links and content can be access by touch, keyboard, mouse or screenreader. One of the bigger challenges associated with the translation of the guidelines was to ensure the online interpretation met the guidelines for accessibility. Certain combinations that worked well offline did not work as well when applying to an online setting. There are many aspects to creating accessible websites; Gibe are well versed in implementing these solutions. The main issue was that the guidelines involved colours layered upon other colours that if applied online would fail the minimal levels required to achieve even the lowest level of A for accessibility standards. This limited some of our options but ultimately we were able to create a user-interface that worked and achieved the highest AA or AAA levels of accessibility. A further challenge of the project was time - or lack of. This was a project that required the design, delivery of templates and integration into the CMS to be turned around within weeks. A challenge we all rose to and achieved easily by splitting delivery into two phases; focusing first on the priority templates and delivering those allowing integration work to commence quickly. The second phase provided the final lower priority templates in time for those to also be integrated and the reskinned site to be re-launched within the timeframes UWE Bristol had hoped for. "Working closely with the University’s web team, Gibe delivered a suite of web templates in tight timescales showing strong awareness of web standards and cross-platform design. An open dialogue with Gibe and their commitment to making the project a success were key in delivering the site launch on time." It helped massively that the UWE Bristol project team were an absolute delight to work with! Many of the team at Gibe are UWE Bristol alumni themselves and for the, there was an aspect of nostalgia to be working on this project. For all this was an enjoyable project which yielded, we hope you'll agree, a great end result.